Property Management FAQs | You Asked. We Answered. Why should I choose Maxwell Property Management? We have over 25 years of experience in the greater capital region marketplace specializing in Saratoga County. We are now one of the most experienced and qualified Real Estate professionals in the specialized area of rental and property management. We specialize in renting and managing middle to higher end single family homes. We also manage condos, multi family properties and town homes. 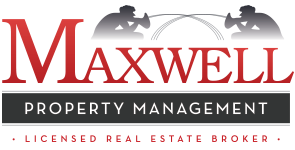 We are also happy to consider other specialty property management needs. Why should I hire a professional management company? The number one reason you want to hire us is to find you a well qualified tenant. The second reason is to take the hassle of day-to-day management off of your shoulders. Are you the least expensive company in town? We are a full serviced Licensed Real Estate Brokerage and we are among the top in our field and our prices reflect this. Yet we are both competitive and fair market. The property is initially listed on our company website. From there it is posted to the internet to 75 other top advertising sites. We are also a full service Licensed Real Estate Broker and advertise through our local multiple listing service. Finally, we plant a very attractive “For Rent” sign at the property if requested to do so. How will I know what my home will rent for? Maxwell Property Management writes over 100 leases a year, giving us a strong feel for fair market value in our area. We offer a free Broker Opinion of the fair market rental value of your property. Inspections are normally done one time per year or at the request of the owner. More frequent inspections will be triggered by any red flags at the property or due to any tenant issues whatsoever. Yes, we typically pay any monthly bills with the exception of mortgage, taxes and insurance. These primary bills are normally handled by the owner. Can you give advice and guidance on how to handle real property in estate matters? Yes, we can help the family make intelligent decisions on whether to sell the property or whether to keep the property and convert this to an income-producing investment property. Do you handle rental property purchase and sales? Yes, as a full service real estate broker we can also buy and sell properties for you. How soon can you begin managing my property? We can begin as promptly as you wish. Today! It was certainly a pleasure to have rented from such an understanding group. Thompson and his staff are a great team. If there were any maintenance issues that ever needed fixing, he would come over right away and fix it himself or the girls would have somebody else over very quickly. Thompson and his staff were also very accommodating and considerate in terms of pets as well. It was certainly a pleasure to have rented from such an understanding group. I would highly recommend renting from this management team if given the chance.